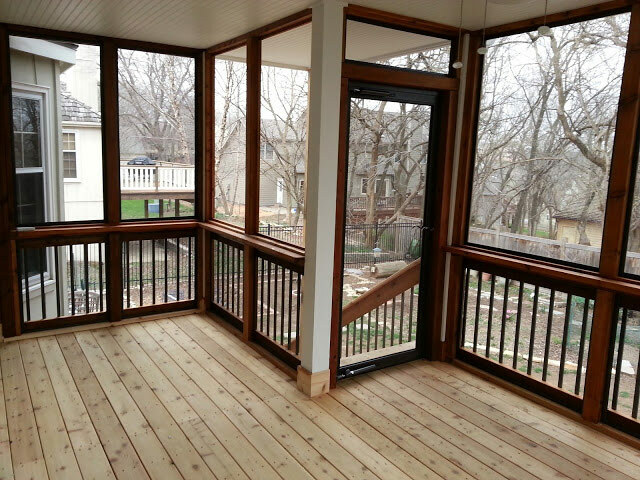 and screen porches in the Lawrence area. 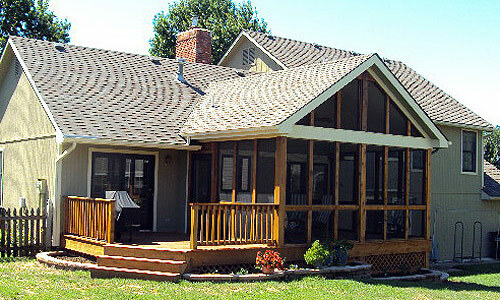 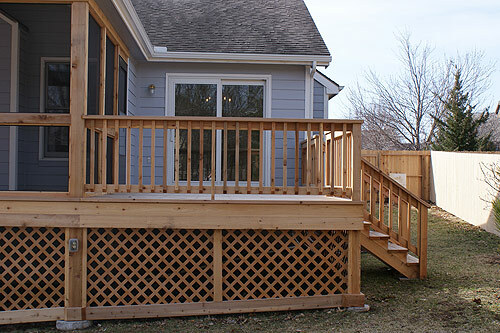 Let Natural Breeze help you plan and construct the perfect deck or screened porch for your home. 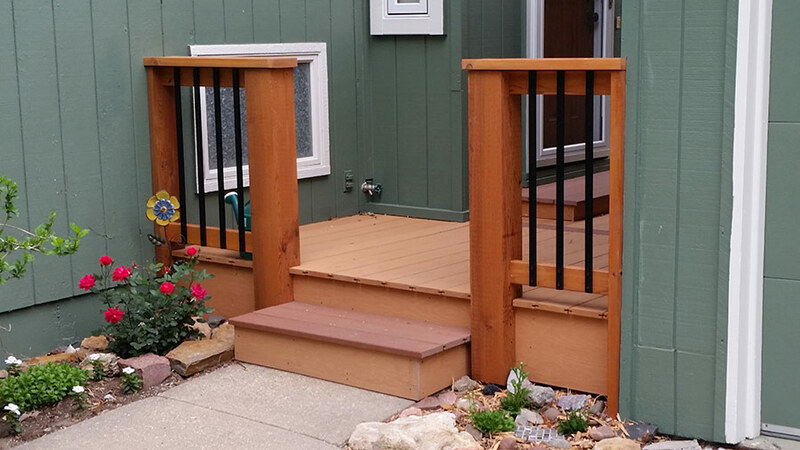 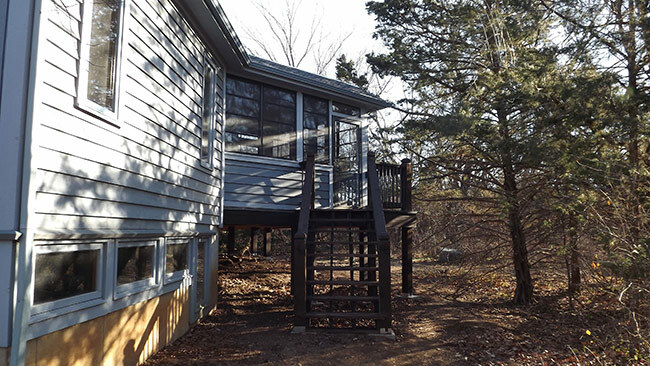 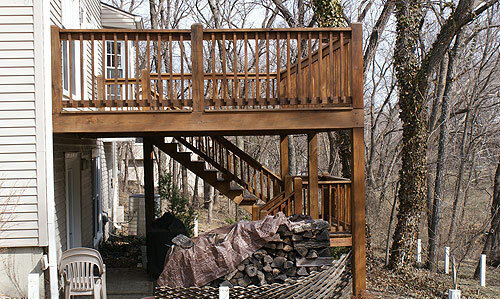 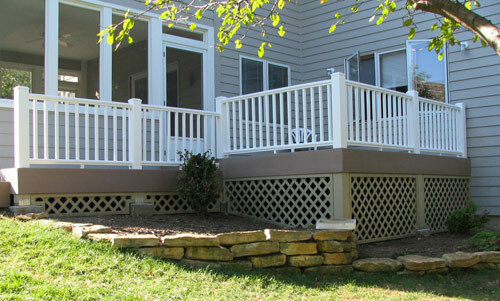 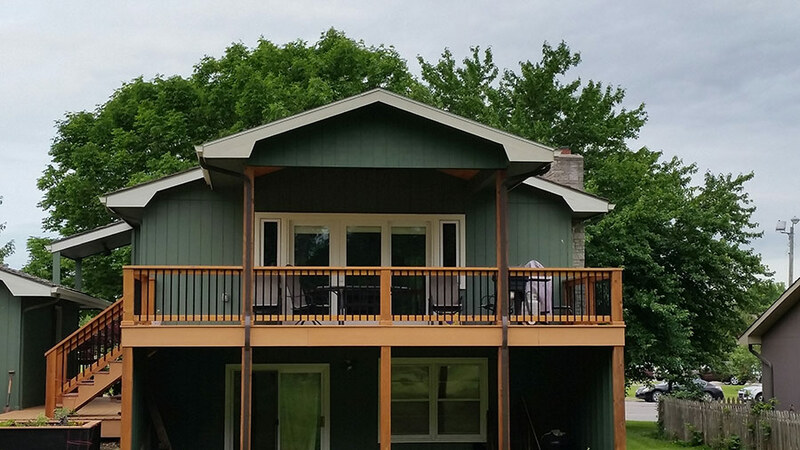 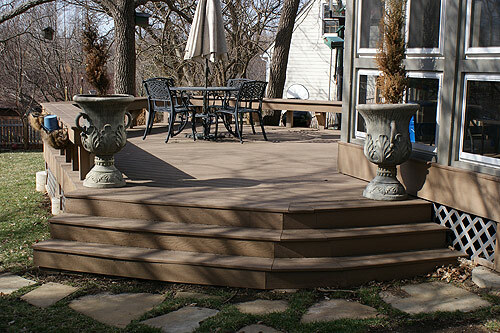 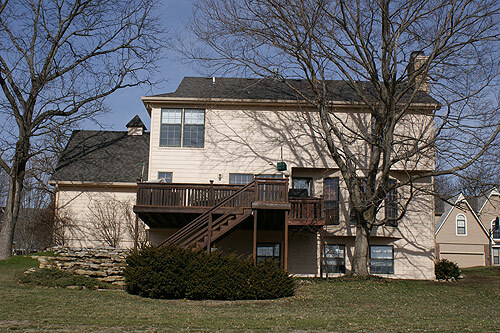 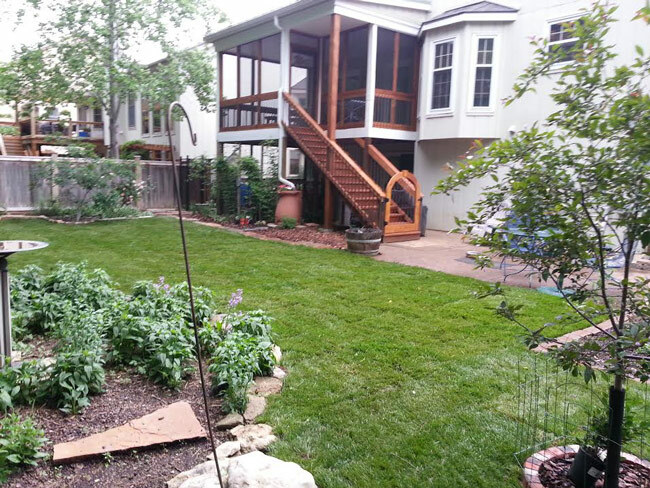 A deck can be as simple as a single level area or as complex as a tiered, multi-level deck. 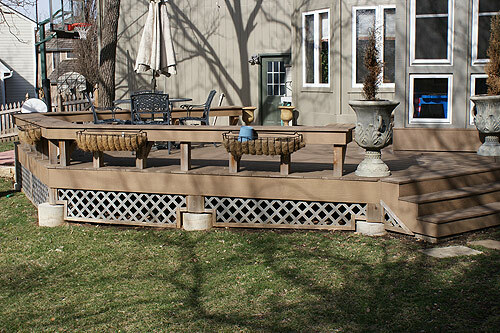 It can also include features such as built-in benches, planters and metal hand railings. 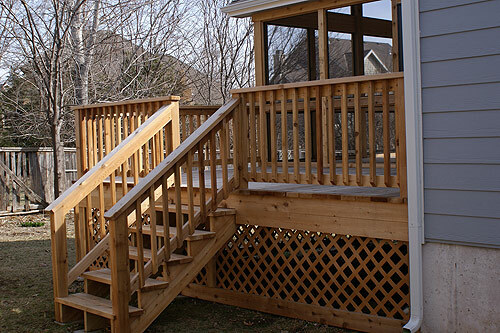 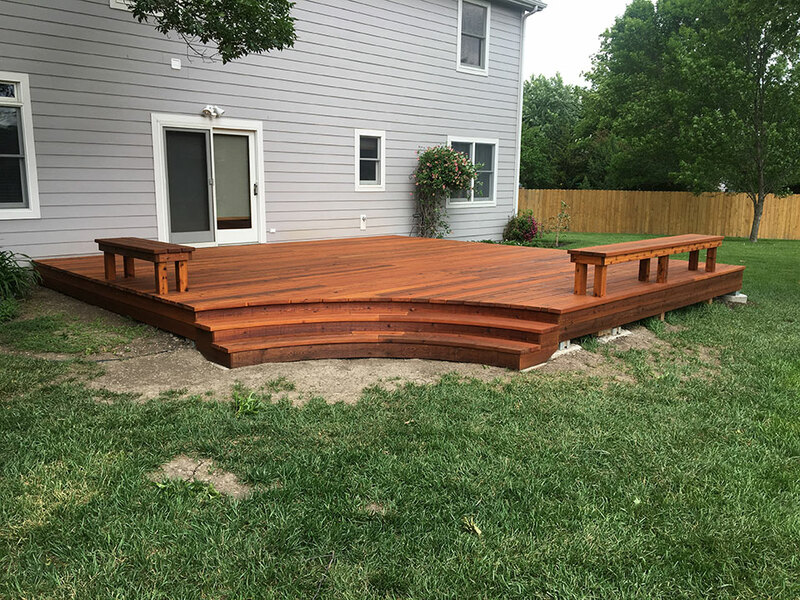 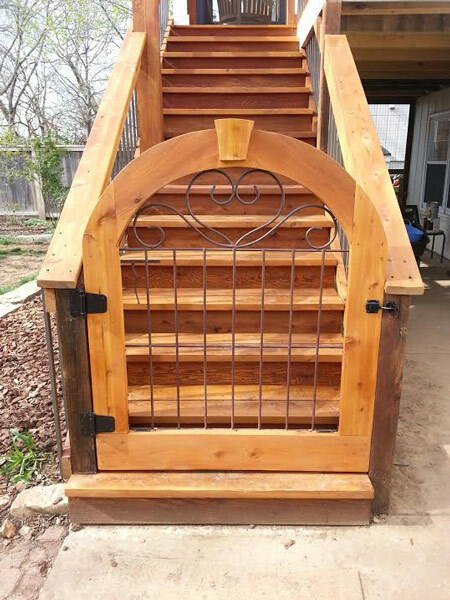 A deck can add usability to a yard that is uneven or slopped and also adds architectural interest to your home, all without blocking the natural light coming into your home. 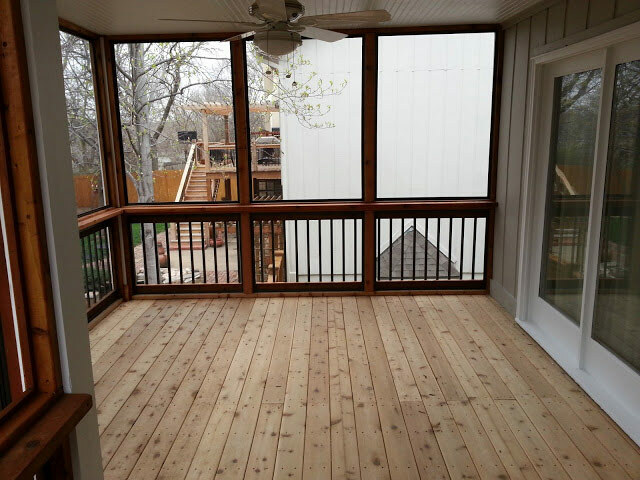 Installing a deck may be the most cost-effective way to add square footage to your home and can also add to your home’s resale value. 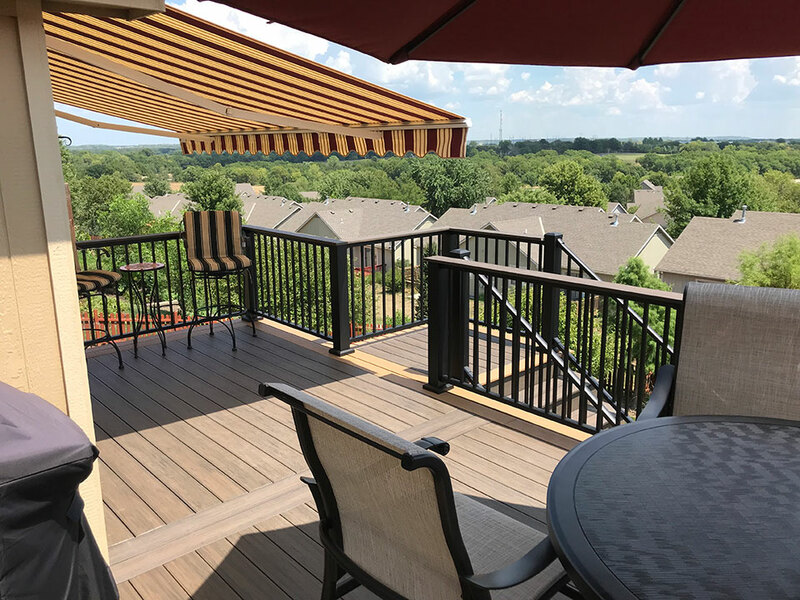 According to Remodeling Magazine’s 2015-2016 Cost vs. Value Report, home owners recoup approximately 72 percent of the cost of building a wooden deck when they sell their homes. 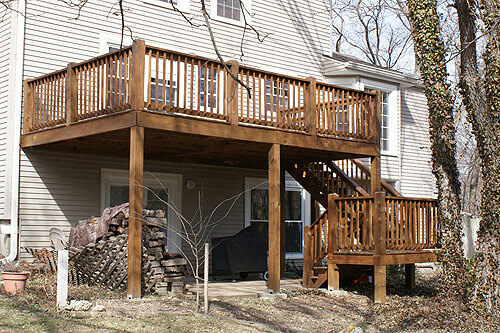 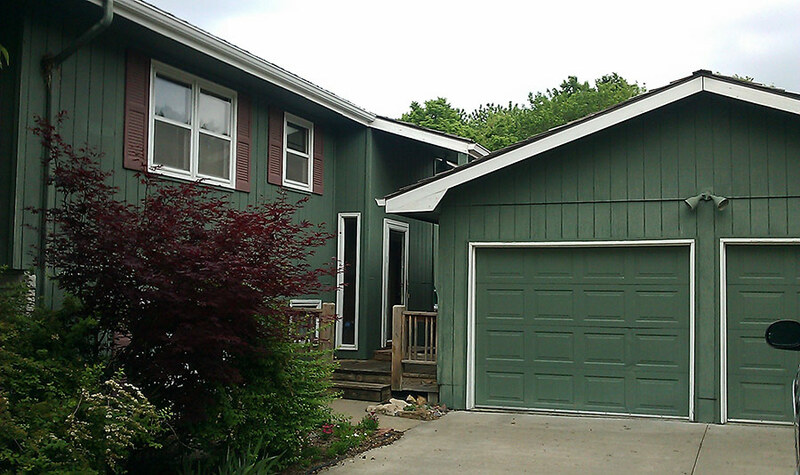 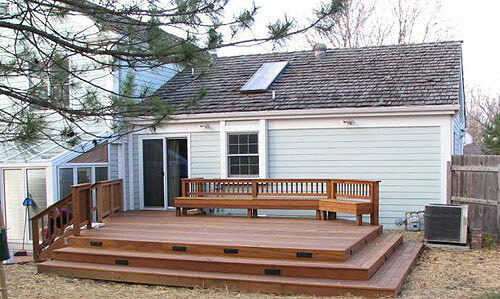 Of all the outdoor home improvements, except painting, adding a deck may be the most reliable value. 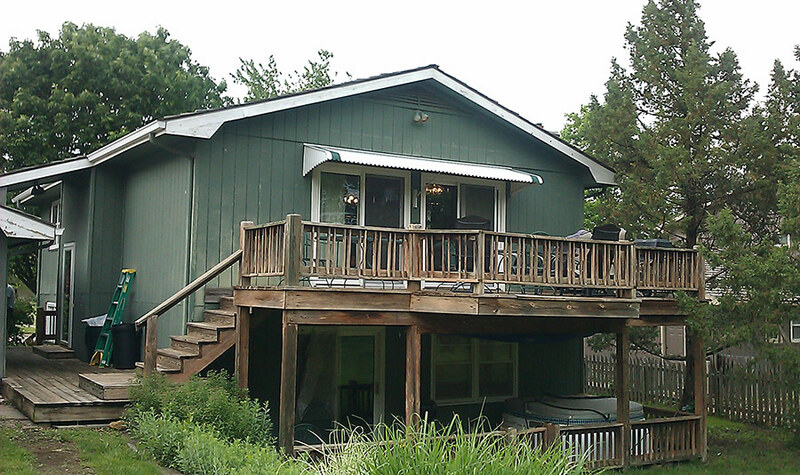 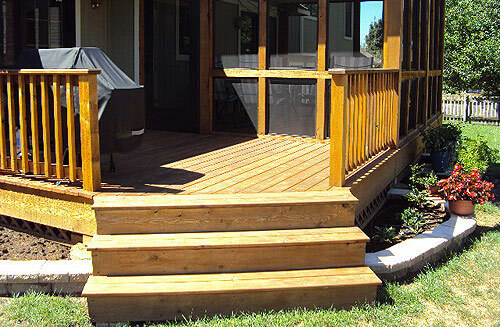 In addition to traditional wooden decks, composite decking is another optional material. 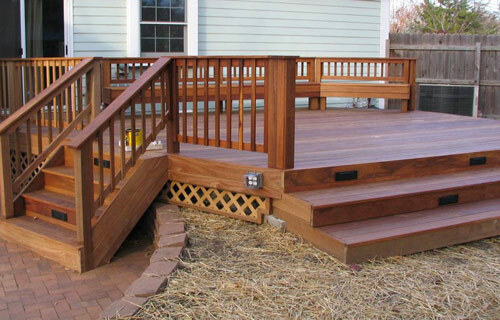 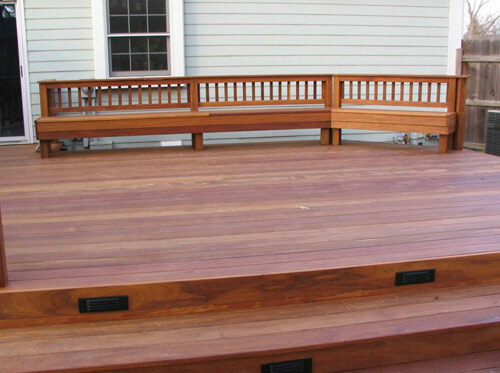 Composite decking is made from recycled woods and plastics. 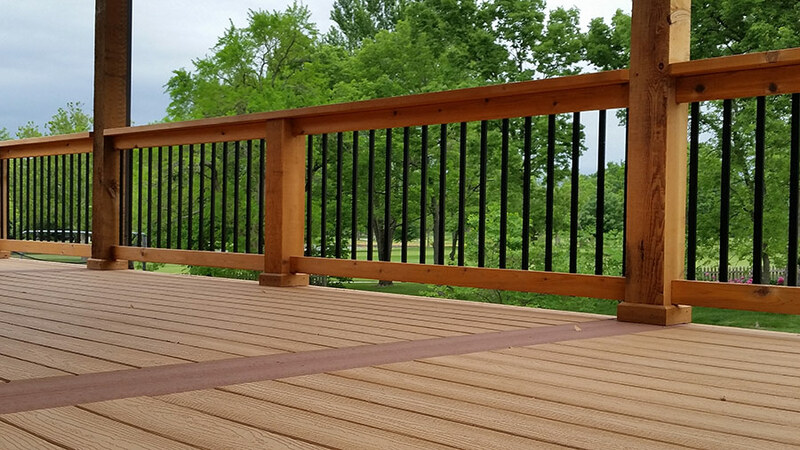 The advantages of composite decks are that they require little to no maintenance, do not crack or splinter, and look great year after year. 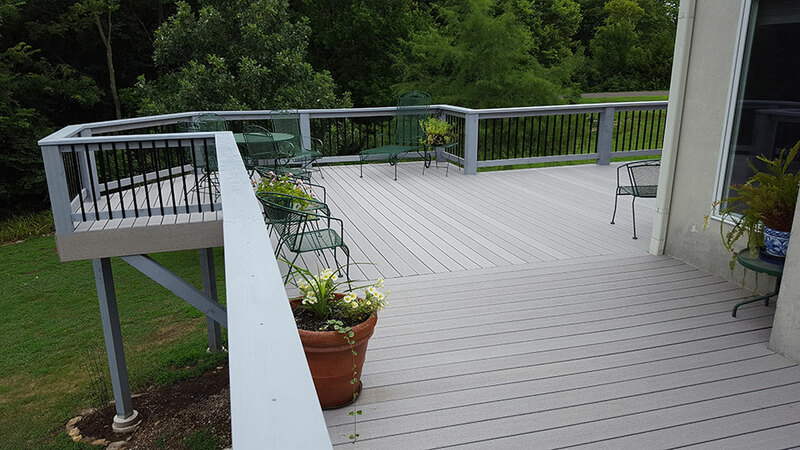 Composite decking is available in a range of colors and textures. 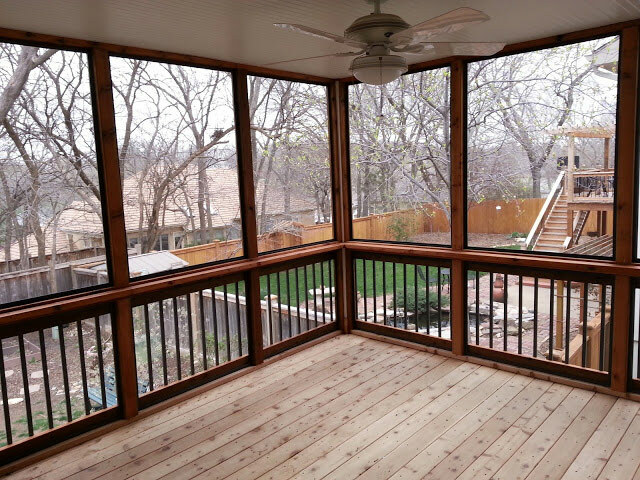 Screened porches, like decks, are another great way to add outdoor living space, with the added advantage of keeping the bugs and rain out. 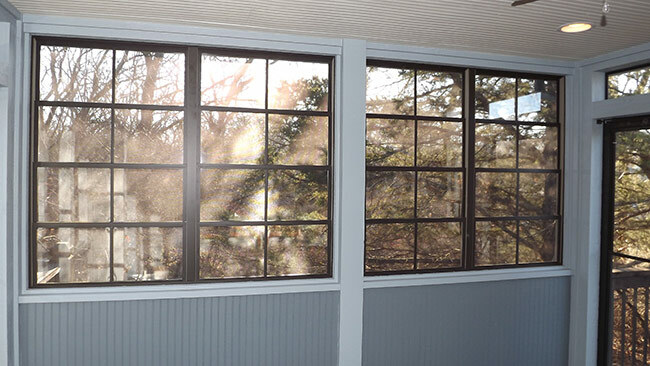 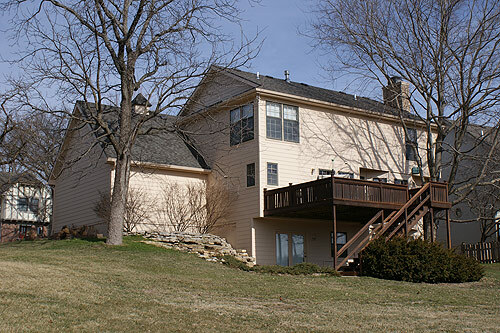 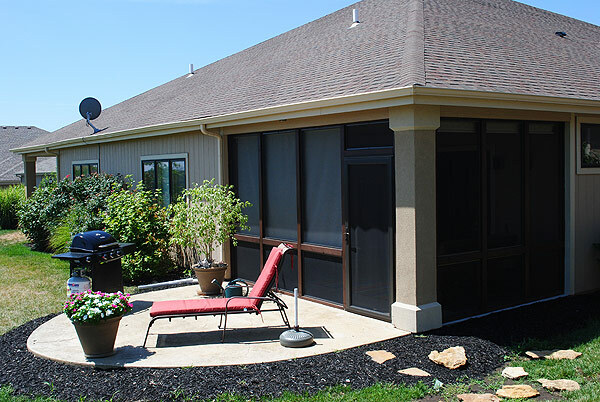 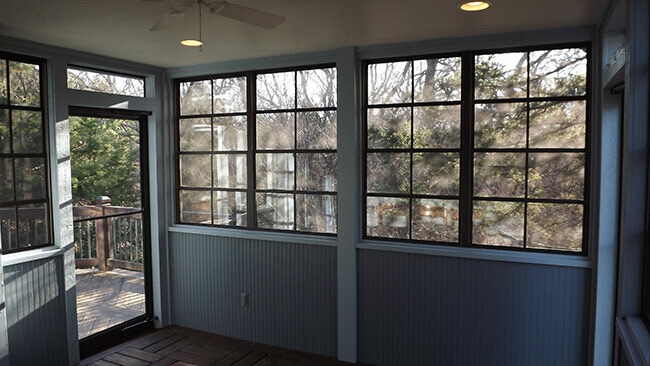 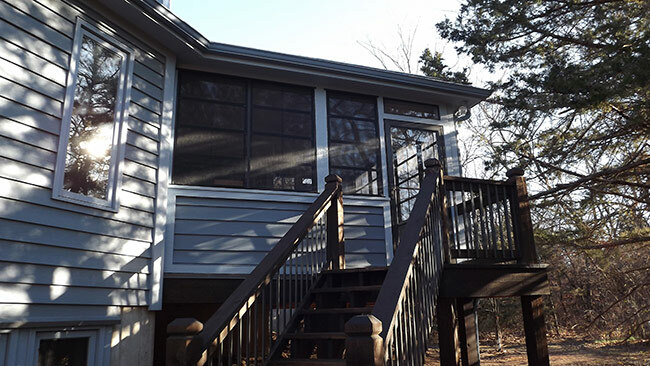 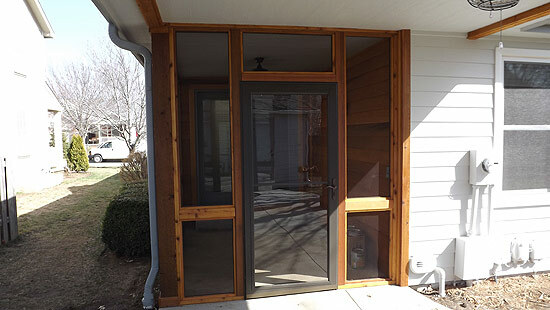 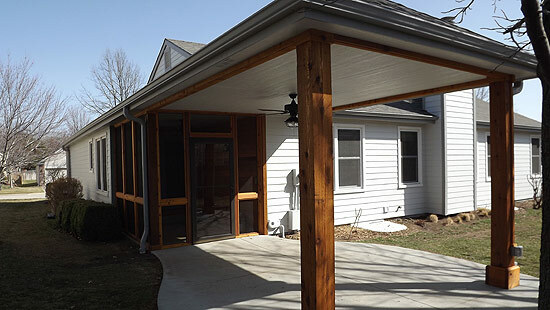 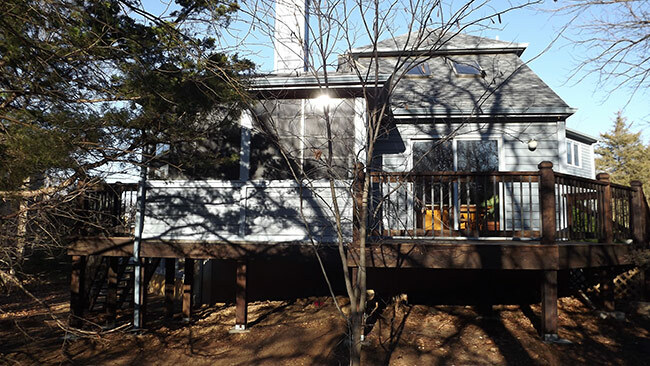 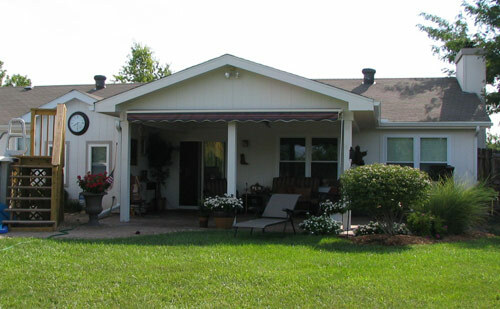 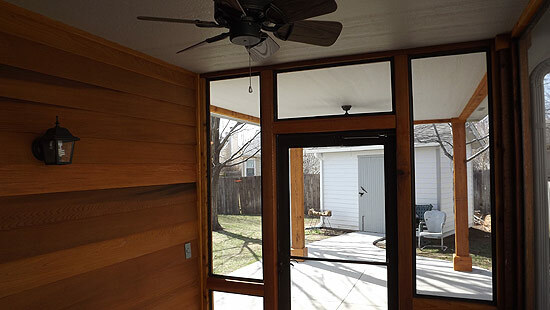 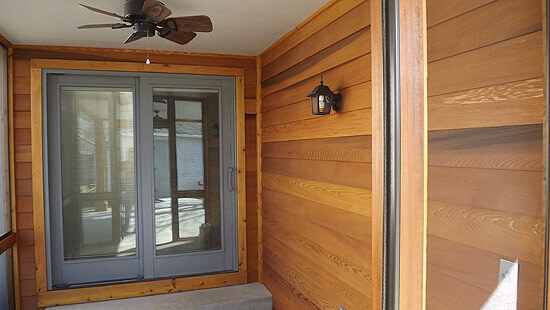 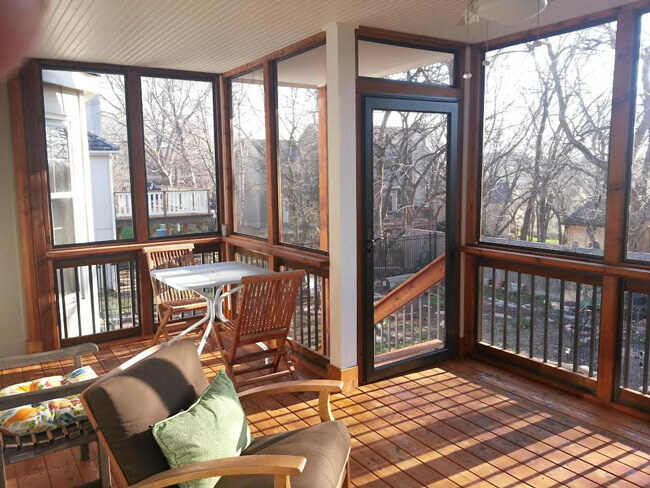 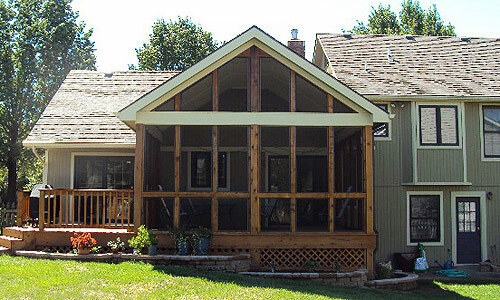 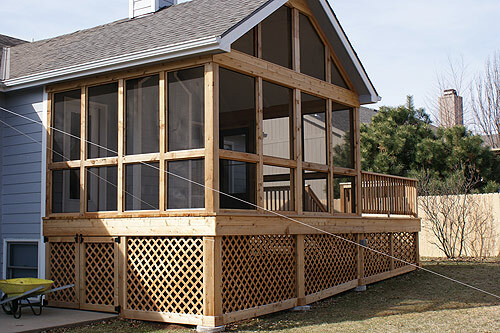 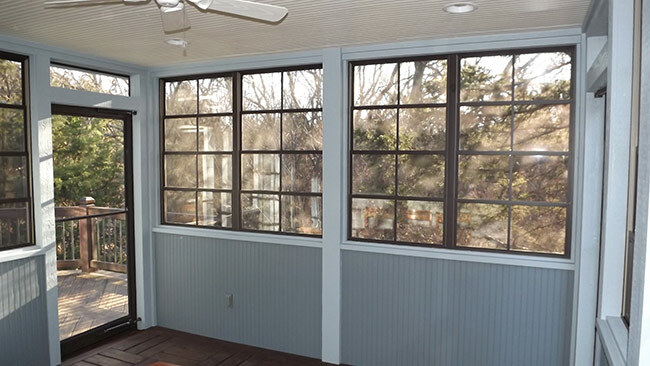 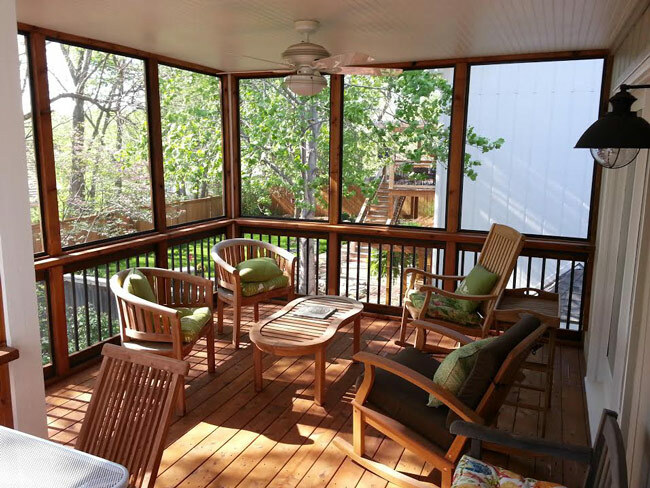 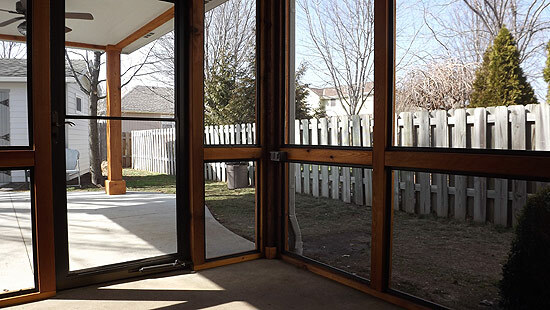 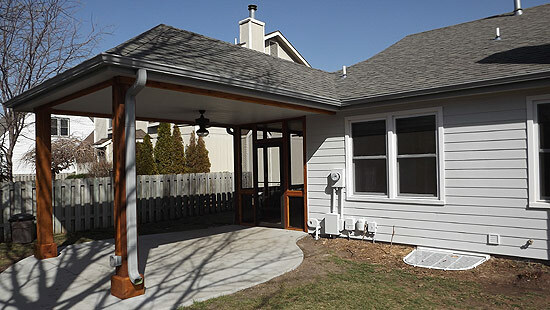 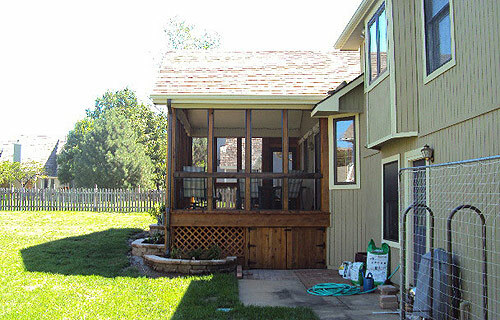 A screened porch can also be constructed to provide heating and cooling, allowing year-round use during hot Kansas summers and bitter Kansas winters. 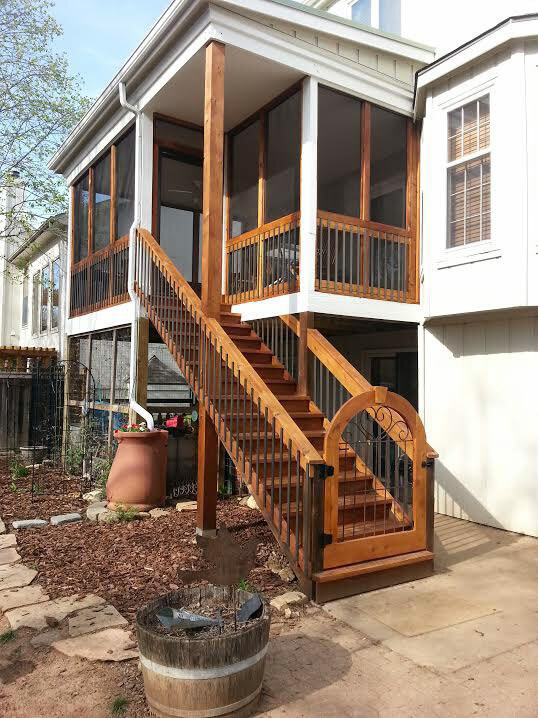 Screened porches require additional considerations. 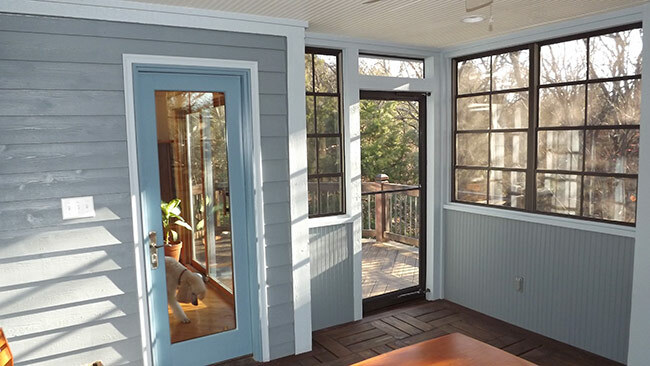 Make sure the walls of the screened porch are high enough so that the roof overhang does not obstruct the view from your home. 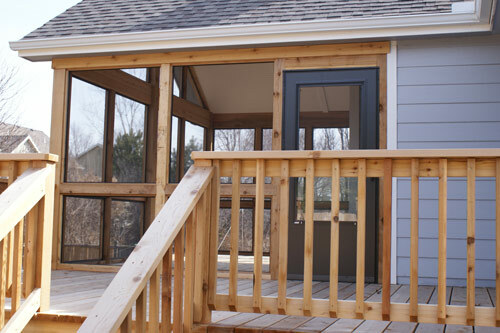 A screened porch will block some light coming into your adjacent indoor rooms, so consider adding skylights to provide as much natural light as possible. 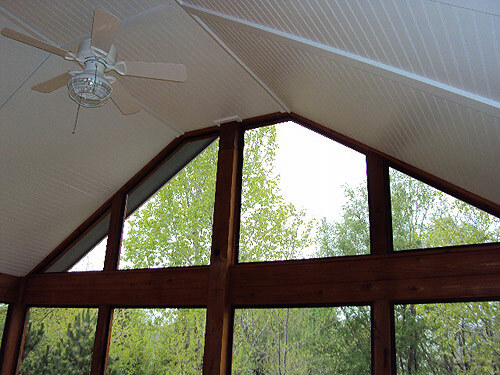 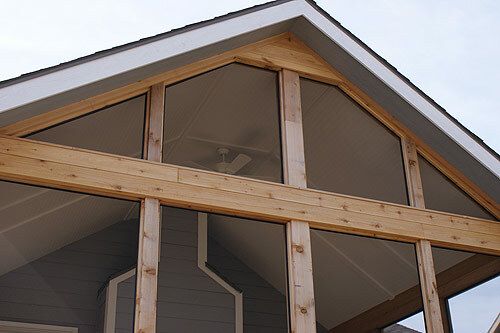 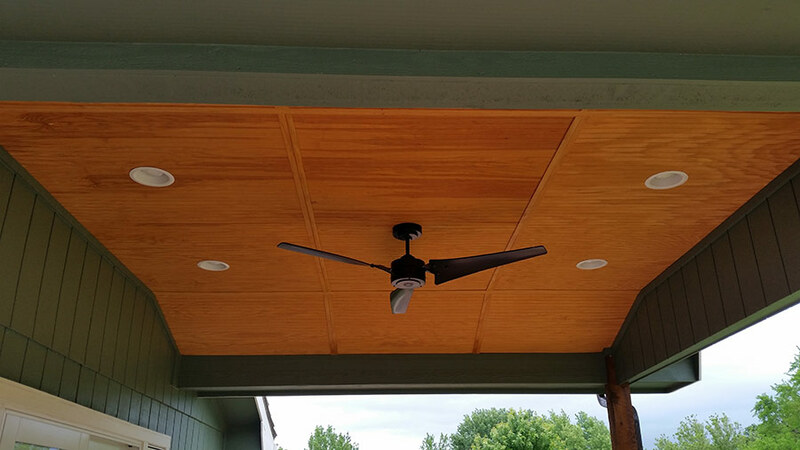 Vaulted ceilings and fans are great additions that help keep your screened porch cool. 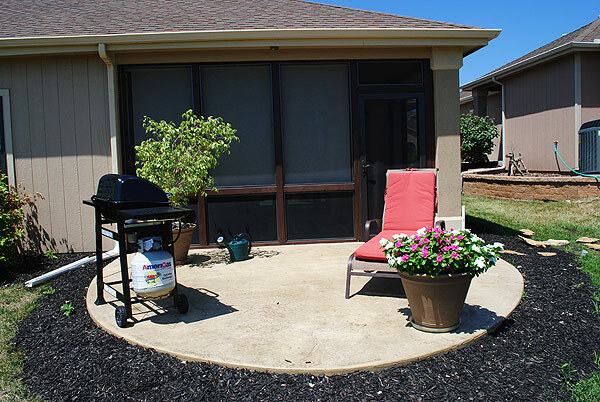 You can even add a fireplace to extend the use of your new room into the cooler seasons. 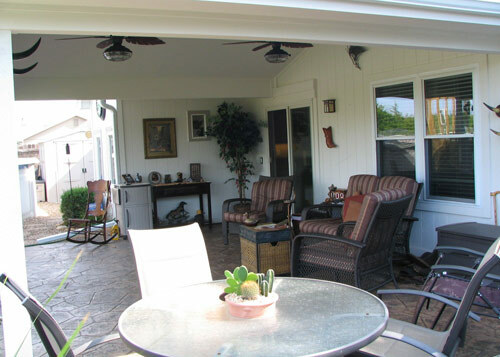 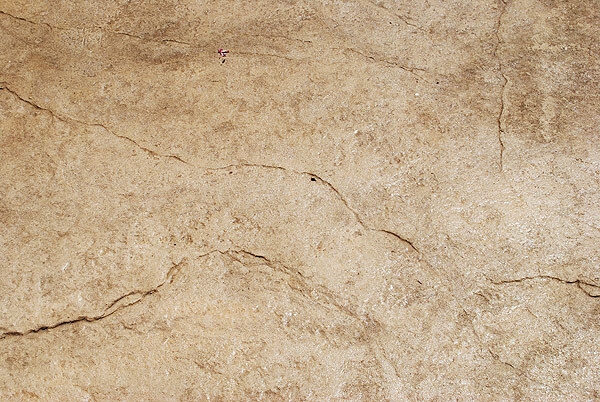 Also be sure to plan for adequate electrical outlets and lighting in your screened porch.